You’ve probably heard that you should visit Lancaster, PA. Our central location on the East Coast makes it easy to get here! For train travel, the Lancaster Amtrak station is right in downtown Lancaster and is on the main line from Philadelphia to Harrisburg and Pittsburgh (known as the Keystone Corridor). There are daily trains from Harrisburg, Philadelphia, New York City, and Pittsburgh, as well as connecting trains from other locations served by Amtrak. If you’re driving here, see our driving directions to Lancaster page. Just six miles north of downtown Lancaster. 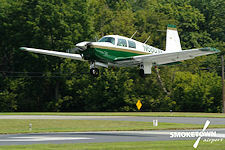 Smoketown Airport is just outside of Bird-in-Hand off Route 340. It's a 20-minute drive from here to downtown Lancaster. 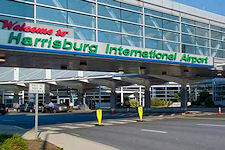 Harrisburg International is close to Lancaster County in Middletown, a suburb of Harrisburg. 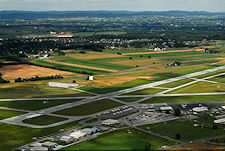 It is about a 45-minute drive to downtown Lancaster. 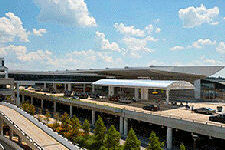 BWI is approximately two hours south of downtown Lancaster off I-95, just south of Baltimore, MD. 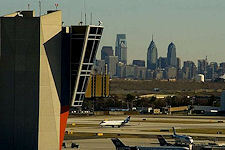 APhiladelphia International is approximately 1 3/4 hours east of Lancaster off I-95, on the south side of Philadelphia.